Leeds, UK, 2017-Nov-01 — /EPR Retail News/ — Today (30th October 2017) CEO of Walmart International, Dave Cheesewright announced that Roger Burnley is to take on the role of Asda’s President and CEO from 1st January 2018. 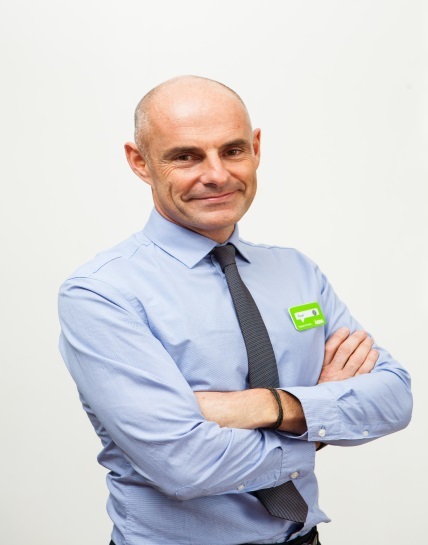 Roger returned to Asda as Chief Operating Officer and Deputy CEO in October 2016, joining the board following Sean Clarke’s appointment as President and Chief Executive in July 2016. At the time, Dave Cheesewright described Sean Clarke as “one of our most experienced global executives” whilst also recognising Roger as “a future CEO”. Commenting on Roger’s appointment, Dave Cheesewright said: “Roger was purposefully brought back to Asda to partner with Sean ahead of the transition to Roger taking up the position of CEO. He and Sean have worked as a great team and I’m really confident in Roger’s ability to continue building upon our returning momentum. Sean remains Asda’s CEO until 31st December and will work closely with Roger to ensure a smooth transition and deliver the best Christmas ever for our customers. This entry was posted in Business, Grocery, Management, Retail, Retailer and tagged appointment, Asda, CEO, Dave Cheesewright, President, Roger Burnley, Sean Clarke. Bookmark the permalink.